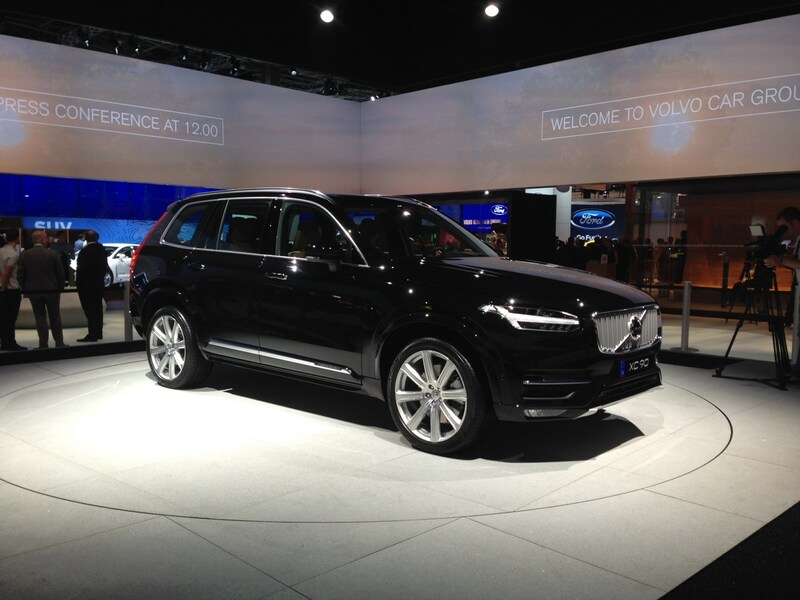 In huge news, Swedish carmaker Volvo has revealed its all-new XC90 to be delivered in 2015. This latest iteration of the popular family SUV showcases Volvo's commitment to a design overhaul of their entire range by 2017, along with a host of new engine technology and of course safety kit. This model was once Sweden's biggest sole export, which gives you an idea of the importance the firm places on the XC90 brand. With a more curvaceous aesthetic, the new styling is a refreshing glimpse into what we can expect of Volvos to come. Trim levels have been reduced from five to three, but XC90 customers can now choose Volvo’s sporty 'R Design' flavour. The range will be powered by a 2-litre DriveE Diesel engine, mated with an eight-speed auto gearbox. There will also be a petrol/electric hybrid powerplant that promises VED-busting CO2 emissions of just 60g/km. Fuel economy is typical of the class, with the XC90 achieving around 56mpg. In the cabin a large touchscreen dominates the dashboard that, in a first for Volvo, supports Apple Carplay. Standard kit has also received some attention, with seven seats, sat-nav, keyless entry and an automatic boot all included. In addition, this being a Volvo, safety has not been overlooked. The XC90 displays new systems designed to prevent the car from running off the road by applying extra steering torque and auto-braking systems to prevent the car from pulling out into the path of another vehicle. The XC90 is on sale now. Read the full Volvo XC90 preview here, or more about the Volvo XC90 R-Design.